Venice is always beautiful in fact, unique. 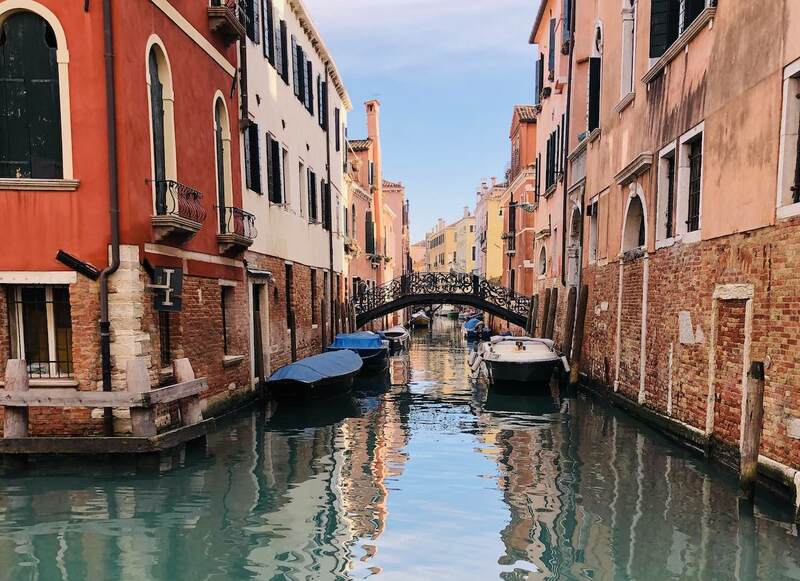 Every season has its hues, every month has its particularities, but there is always a new perspective, an excuse to take advantage of something we haven’t before, frankly, it’s just another perfect reason to visit Venice again. During the winter and Carnival holidays, Venice is uplifted in an enigmatic and splendid state of being. Every New Year brings a relaxed and calm feeling to the city on water. It’s an ideal time to visit and pay attention to the little details. Even more so in January, that often brings incredibly limpid days when the Venetian sky paints a prefect contrast to the marvelous Dolomites over the lagoon. The mountains look as though they could be touched with your own hands. In the colder months, under the opaque blue sky, discovering Venice becomes an irresistible calling. If you’re lucky, some snowflakes can become a perfect backdrop to uncovering an unusual Venice, adorned with a bright light, and fluffy white powder that covers the campielli, gondolas, and balconies. All the most beautiful museums in Venice, including the ones that surround Saint Mark’s square, or the less known ones in this period, are easier to visit without the usual long lines. You can discover the secrets of the Doge’s Palace and its prisons, the incredible course of smell to be taken in the Museum of Perfume in Palace Moncenigo, or any of the many gems celebrated about the city. Don’t be alarmed if some places or restaurants are closed during these days. Actually, this “reduced selection” will allow you to better evaluate some of the wine bars and gastronomic places in season with delicacies from sea and land that can be found only during the colder months.